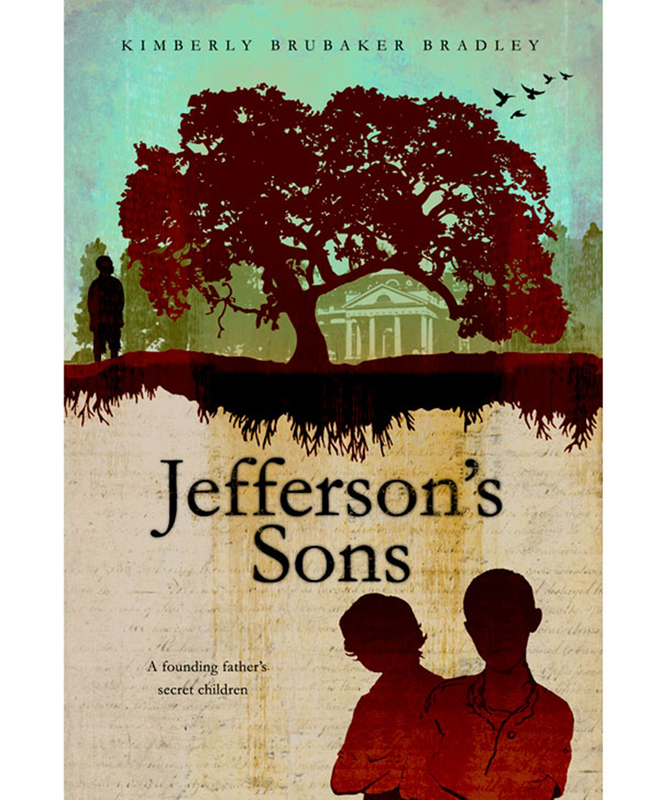 This book jacket was created to convey the historical times and family life surrounding Thomas Jefferson and all of his children. This is a historical fiction story created for young adult readers, authored by Kimberly Brubacker Bradley, published by Penguin. © 2019 stephanie dalton cowan All Rights Reserved.